Cinnamon desktop shell was initially developed for the popular Linux Mint distribution but later welcomed by other Linux users. Cinnamon comes with lot of features that include different desktop effects, animations and transition effects. 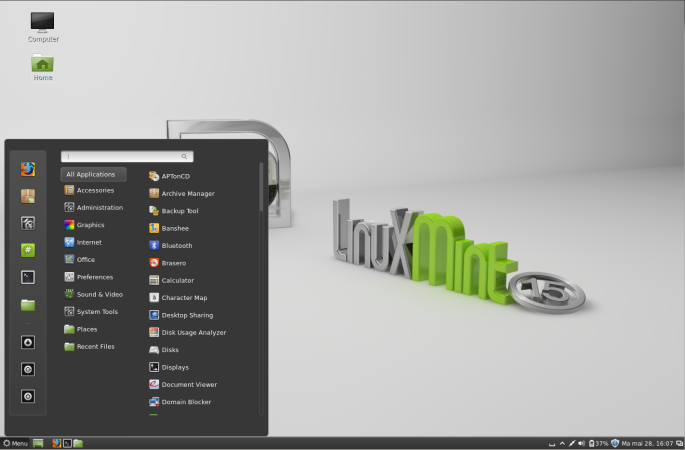 Cinnamon 2.0 build just released with much improved features compared to the previous ones and it will be featured in Linux mint 16 Petra operating system that is planned for the year end launch. Cinnamon 2.0 goes through 5 months of development and 856 commits from 28 developers around the world. It features a lot of bug fixes but also brand new features and many improvements such as edge tiling,edge snapping,better sound effects,better user management and system try support for file operations. Edge-Tiling, this feature was there when cinnamon shell was first born but this time it comes with better improvement. Edge-snapping is another feature that we found normally in Xbox consoles. It is similar to edge-tiling but there is a difference: Maximized windows do not cover snapped windows. The brand new user interface also make Cinnamon look more beautiful ,elegant and it will look better on Linux mint than any where else. Please note cinnamon 2.0 is still in beta stage, so test it if you know what you are doing.